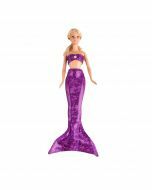 Our bikini bottom for girls and women in Purple Sky sparkles just like an amethyst gem! Part of our Sparkle collection, this swim bottom dazzles in multidimensional fashion in a mid-rise style that provides ample coverage when you're enjoying life near the water. Fully lined and fade-resistant. Recommended for costume use. 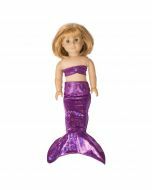 Swim separates from Fin Fun's Sparkle collection really shine when you're looking to dazzle! 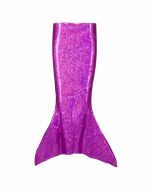 Our Purple Sky bikini bottom matches other FIn Fun products like the Purple Sky mermaid tail, swimwear, headwrap, and doll tails so it's easy to bring home the full collection! Our premium fabric is fully lined and stretches four ways for comfort. Recommended for costume use only, as the material can lose its luster after heavy use. Hand wash and hang to dry.